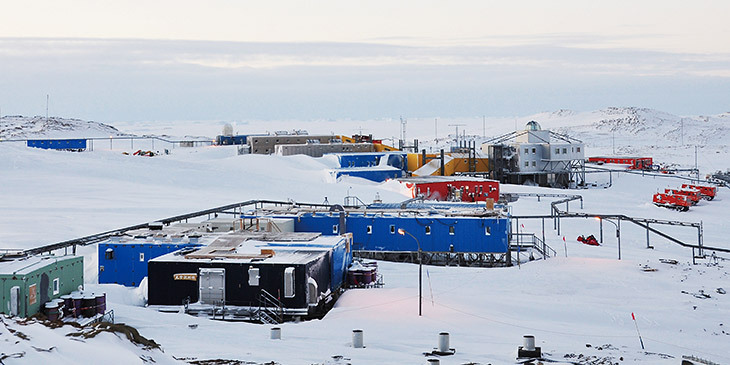 The Center for Antarctic Programs (CAP) came into being in 2009 by merging research staff group and administrative / technical staff group in order to support every operations and activities of the Japanese Antarctic Research Expedition (JARE) go smoothly and efficiently. CAP covers such tasks as arrangements of planning and projects with research communities, maintenance of Antarctic stations, recruitment and nomination of expedition members, preparation of medical examination and training, transportation to Antarctica, and issues of environmental protection, etc. JARE invites foreign scientists from many countries every year to perform scientific collaboration in Antarctica. Recently, Asian Forum for Polar Science (AFoPS) was established, in which Japan, Korea, China, India, Malaysia organize annual meeting every year to exchange information among member countries and to encourage other Asian countries’ involvements in polar research. 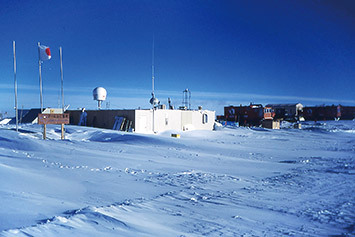 In addition to the sea borne transport by “Shirase”, JARE recently installed an air network system DROMLAN (Air consortium supported by 11 countries working in Dronning Maud Land) to organize chartered flights to Novolazarevskaya Station, and Troll Station from Cape Town, and feeder flights covering other stations and activity areas in Antarctica. In the Southern Ocean, “Shirase” and “Umitaka-maru” of Tokyo University of Marine Science and Technology conduct collaborative observations on marine sciences. Such air and sea operations contribute to expand the activity area of JARE in the Antarctic. Syowa Station was established on East Ongul Island, Lützow- Holm Bay, on January 29 in 1957 by the 1st Japanese Antarctic Research Expedition. At present, it also acts as an observation site for world meteorological network in addition to various scientific observations. 30 members spend whole year to conduct observations and maintain facilities there. Dome-Fuji Station was established in January, 1995 to conduct deep ice-core drilling at the highest dome of Dronning Maud Land, some 1000 km away from Syowa Station. After completing 3035 m deep drilling, the station is being closed temporarily. Mizuho Station was established in July, 1970 on the Mizuho Plateau, 270 km south-east of Syowa Station. The station is being closed temporarily at present. Asuka Station was established in March, 1985 in Dronning Maud Land, 670 km southwest of Syowa Station. The station is being closed temporarily at present.